The committee met in early April this year and have considered the four student research papers which were nominated for the 2018 awards. The two categories for awards are Junior and Senior, and we have identified two very worthy recipients in the Junior category. 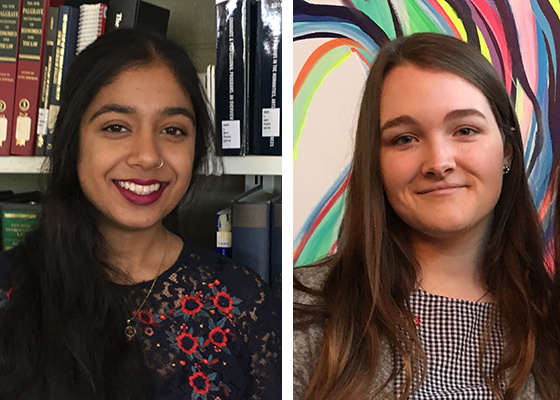 First Place ($350) – Ritu Singh for "The Ebola Outbreak 2014: The Avoidable Epidemic"
Second Place ($150) – Jonnica Hill for "Literature Review: Social Networking to relieve student stress during the transition to University"
No awards were given in the Senior Category this year. The committee would like to thank all who applied, as well as everyone who assisted with the administration of this year's awards.